Possibly the most skilled mercenary in the world... and definitely the most annoying. The joke-cracking, reference-making, fourth-wall-breaking, taco-eating funnyman of the cold-blooded killer set, Deadpool has long skirted the line between hero and villain, between maniac and genius, between ugly and smelly! 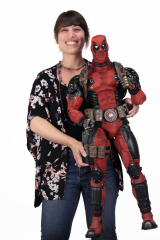 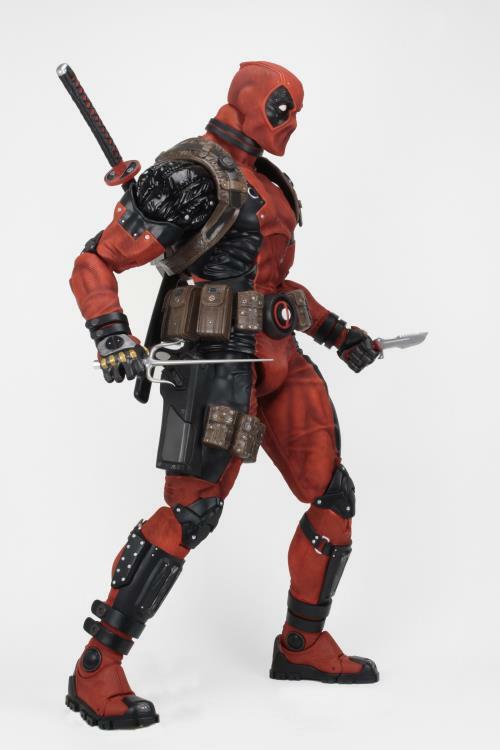 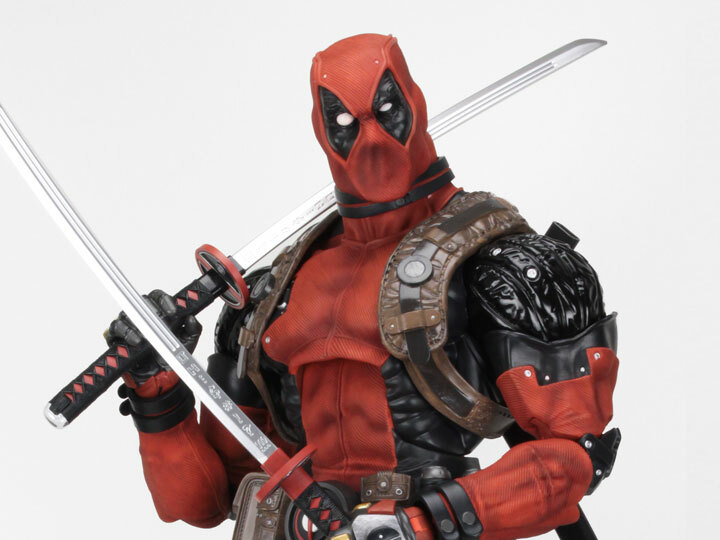 This highly detailed 1/2 scale Deadpool stands an incredible 36 inches tall and has over 30 points of articulation. 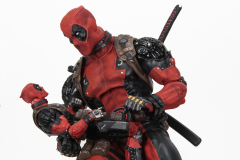 The NECA Marvel Classics Deadpool features joints have been reinforced and ratchet into place. 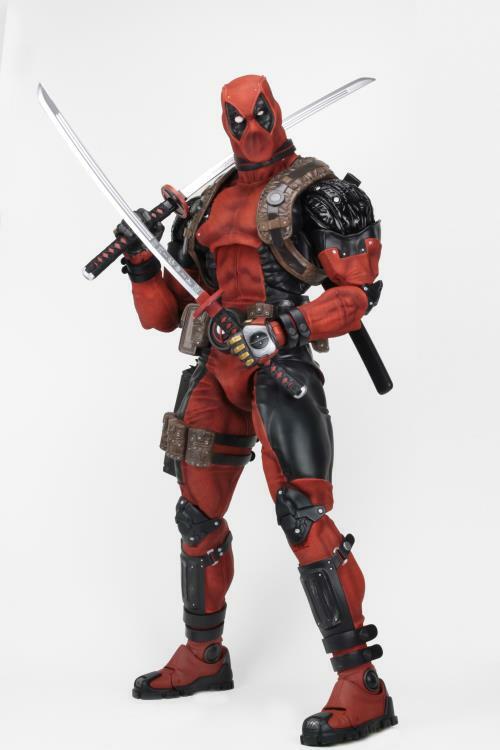 Accessories include his katana, sai and knife, all with working sheaths, and interchangeable hands. Featuring Deadpool as a huge figure!